My intention as I worked on this was very simple: make my thoughts and data accessible for anyone who may happen to reach my page, either because they know me or someone directed them there, or a search engine threw up the site’s url. I have not yet thought of how to publicize the stuff; I have no idea how to go about such stuff. If even a few people benefited from my effort, it was effort well-spent. And people have been contacting me every couple of weeks or so, people I don’t know, seekers who reached my site while they desperately surfed for resources for dementia and caregiving in India. Some were helped by what I had put forth, and some wanted more help (and I tried my best to find out the additional data they wanted). Today’s post is stirred by one such contact. In many of my blog entries on dementia and caregiving, I have shared my impression that poor awareness of dementia in India is a major concern area. I often feel that dementia is far less understood in India than in some other countries, and that the role of the caregiver not seen as a significant, contributing role that needs special patience and skills. Relevant in this context is the work of 10/66 Dementia Research Group. To quote them:, “10/66 refers to the two-thirds (66%) of people with dementia living in low and middle income countries, and the 10% or less of population-based research that has been carried out in those regions.” This group is a collective of researchers working on population-based research into dementia and related areas in these countries. Interestingly, the website includes a report on Qualitative Studies which confirms my view of poor awareness of dementia and caregiving in India. The report reminds me of a support group meeting where a caregiver shared how, when his father was diagnosed with dementia, the family was so ashamed they wanted to institutionalize him and isolate him (hide him, get rid of him so that they were not associated with him), and when the son took over the caregiving, they isolated him, too. I think we need more people speaking up about dementia, and about caregiving. We need more people admitting that the elders in their family have dementia (admitting to themselves, admitting to others). I hope more people will write about it (blogs, books, articles, reports, novels, whatever), speak about it, think about it, so that one day people with dementia in our country can life a fuller life to the extent their ability allows them, and carers can care for them and lead fulfilling lives of their own, all done with dignity. A few weeks ago, as I was working on how to increase awareness about dementia, I realized that most people who know about dementia don’t really know about it. They can talk about how unfortunate memory loss is, and how awful it must be, but the sentences are more like quotes from articles they have read, or what they have heard. Because, a few minutes later, they slip into behavior that can be extremely stressful for the patient, or come up with suggestions that leave the caregiver scratching his/ her head, wondering how to explain it all over again. Memory loss is one of those overused phrases. We joke about it all the time. Misplaced the car keys? Joke: You are getting senile. Joke: Maybe you have dementia. Senior moment. Whatever. Forgot a birthday? hey, you’re getting old. Grin. So when someone says, dementia is memory loss, we assume it to be more of the same. Maybe losing five car keys? Forgetting ten birthdays? It is bad, inconvenient, but not heart-wrenching. And just as we don’t make too many concessions for someone because they misplaced their spectacles or car keys or forgot which day of the week it is, we expect a dementia patient to, more or less, be normal (except that she has misplaced her keys, poor dear, smile). For years after my mother was diagnosed, I made this same mistake. I made allowances for memory loss, but didn’t quite understand (or try to) how memory loss could so totally affect behavior. In my earlier posts discussing caregiving, I tended to use “she” while referring to a caregiver. This was pointed out by a commenter, and that got me thinking. I realized that with a bit of an effort I could keep entries free of pronouns and let the reader decide what pronoun to assume. Because the fact is, there are male caregivers and female caregivers, and using any one pronoun could be seen as stereotyping or acting condescending or whatever. (As this blog entry received both online and offline feedback, and as its content is very relevant for anyone who wants to understand how to interpret available material on dementia in the Indian context, I have moved the content of the blog entry to a page that I can keep updating based on comments received. 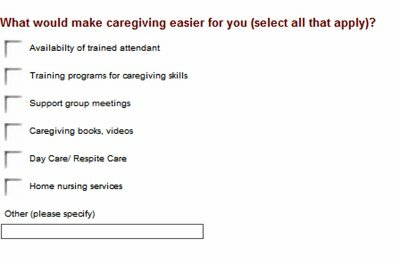 You can see the page here: Applying available dementia/ caregiving material to the Indian context. 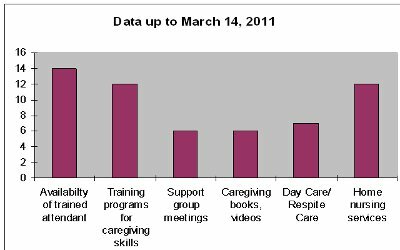 There is a lot of material available on the web (free) on dementia and caregiving. There are also several books. As a caregiver, I read these to educate myself and make caregiving smoother for my mother and myself. I face one problem: most of the material assumes a social and cultural context different from what I find in India. Briefly, books, pamphlets, write-ups available usually assume an American/ European/ Australian culture, where people are likely to live independently, openly (and without hesitation) make choices that allow them to “have a life”, discuss their desires and needs, and have their privacy respected. Specialized tools are available, and information on dementia is widespread. The role of support persons and caregivers is recognized and respected. The environment in India differs along these axes in varying degrees. We must therefore re-interpret some lessons/ suggestions, and explore alternate means to meet the intent. This is applicable to caregivers, counselors, support groups, and NGOs. Here are my initial observations and thoughts on differences and possible ways to re-apply the underlying ideas in our context. I would love feedback and suggestions on this material so I can develop it into a more usable note. Privacy and independence In India, people openly comment on others, judging and criticizing them for the choices they make, for what they look like, for what they are doing and not doing. Caregiver actions are therefore, fair game for everyone. Many people who comment are well-meaning but ill-informed. They pass caustic comments, especially if the caregiver is a daughter or daughter-in-law and the visitor is elder (and elders are always experts 🙂 ). Worse, visitors egg on the patient by telling them to demonstrate more will power, or criticize/ scold the caregiver in front of the patient. Unfortunately, methods of maintaining patient and caregiver sanity in face of such visitors are not addressed in books on dementia care, because they assume a society where people (even if judgmental or critical) are unlikely to voice this directly (however, they may call up social workers and the police 😦 ). (The above is just an excerpt. Read the full entry here: Applying available dementia/ caregiving material to the Indian context. (As this blog entry received both online and offline feedback, and as its content is very relevant for anyone who wants to understand the cultural context of dementia care in India, I have moved the content to a page so that I can keep updating it based on comments received. You can see the page here: The Cultural Context of India and its Impact on Dementia Care. A lot of people talk of how countries like India have more family values than other countries, and how elders are more valued, cared for and respected here. While many countries end up spending a lot in institutional care facilities for the aging population, this cost is relatively low in India where most families look after their own. In India, children live with their parents, and their children with them (Going two, three, even four generations). While in many countries a son or daughter living with parents past the age of eighteen can cause a few raised eyebrows, and a married son or daughter staying with parents is far from common, here it is assumed that children will stay with their parents as far as possible. You stay with your parents as a child, as a youngster, as a college student, and after employment, if you are in the same town. You try to be in the same town. After marriage, the son stays with the parents, and the daughter-in-law moves in too, adjusting to the in-laws (food, dress, TV programs, schedule of day, way of talking, etcetera). A daughter, conversely, moves out after marriage to her in-laws place. This is normal. If the employed son is in another city, well, he has to live separately, but he is expected to try and find a job in the same city. Sometimes sons live separately even when in the same city as their parents, but they have to always justify to others why they do so 🙂 . As the parents age and retire/ fall ill (say, first heart-attack, first stroke, first stent operation), even if they were living separately, they move in with the children (or the children move in with them). Usually, when there is more than one son, the eldest son is the privileged person to get the parents. (The above is just an excerpt. Read the full entry here: The Cultural Context of India and its Impact on Dementia Care. Yesterday, I shared a story of Friend A, alone, sad, feeling let down. The tragedy is, such isolation is not, well, isolated. Again and again, if they open their hearts to you, caregivers will tell you how their caregiving becomes even more burdensome because people they knew earlier, friends, relatives, start cutting away. Often, this happens gradually, and often it happens without grace. That is, if asked, people give reasons that sort of blame the caregiver for it.